lil' leo goes missing for a while, and ends up freaking out everyone, i think the end uld be cute if don came out of his lab to see a panicking raph and mikey and just says "guys... he's been in my pab taking a nap in a box all day" and then a cute picture of leo in a box lined with blankets curled up with a nity smile. Daddy Raph is so adorable thing <3 Thank you! 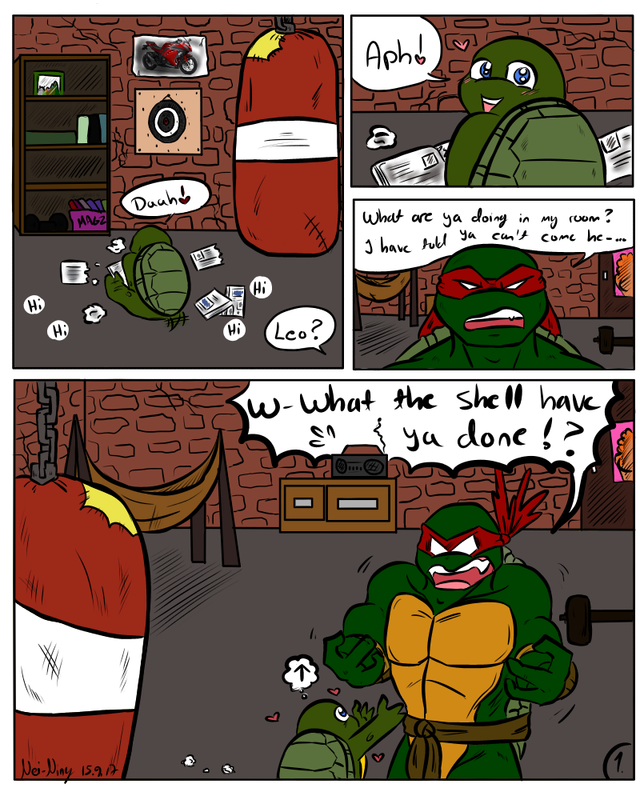 Raph's learning the hard way about parenting. But at least he learned this lesson. Raph's learning the hard way about parenting. But at least he learned this lesson. He sure is but luckily he's quick to learn :D And baby Leo is very easy baby in the end.